Review / Haul with Stevemadden.in! | The Shopaholic Diaries - Indian Fashion, Shopping and Lifestyle Blog ! 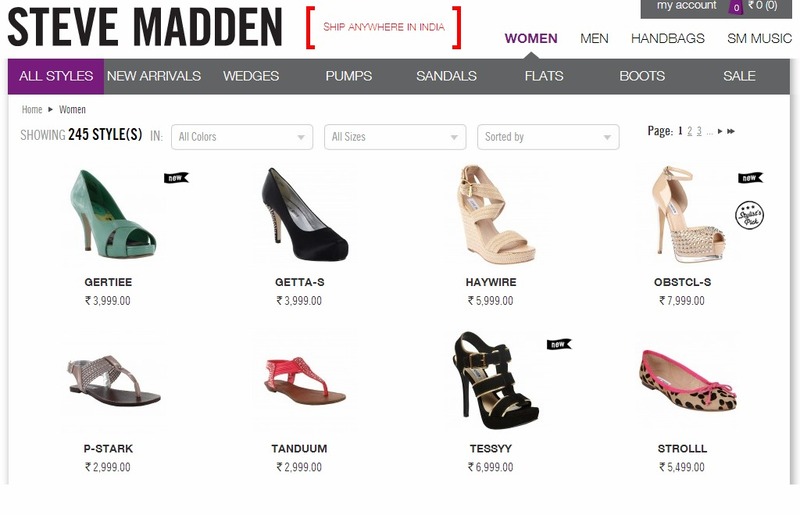 I am back after a long timeee with a Review post.. And this time its a review of a leading brand's website which now offers Online Shopping in India..as you must have read in the title .. its Steve Madden !! When I first read at their Facebook page that they were launching their Indian website, I was more than thrilled - coz I am in love with online shopping. More than the convenience of shopping from the comfort of my home, the amazing deals and discounts lure me to shop online often. Steve Madden is easily America's most successful shoe designer. Considered the fashion footwear mogul of the 21st century, Madden has been responsible for the design and marketing of the company's trendsetting shoes for over two decades. His vision to give young, fashion forward men and women a unique way to express their individuality through style resulted in millions of customers worldwide. Their website means serious business - no Ads or cluttered layout to confuse or bore you - its neat and user-friendly! The main menu is divided into 4 categories - Men, Women, Handbags and SM Music - which you can further browse to checkout the whole collection. Further the categories are divided into Shoe styles like Wedges, Pumps, Sandals etc. Product page shows clear and magnified images of the styles with proper description, Sizes available and Size Chart. They have more than 300 Product styles to choose from, which I don't think you will find altogether under one roof. The best part - they have a 30 Day No Questions Asked Return Policy ! 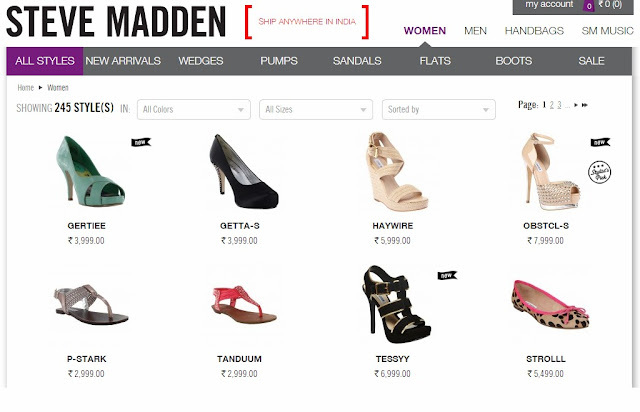 For people who don't find making payments online secure enough, Steve Madden also offers Cash On Delivery - Cool! Isn't it?? They have added many styles in their SALE section now, offering great deals which one can't find In Stores. Love my Maddens? These are my third pair of Steve Madden heels, I already own a pair of leopard print peep-toes and a pair of Banor pumps. You'll see more of these in my outfit posts soon. Have you checked out SteveMadden.in yet? Let me know in comments below if you love them too.. The truth is, style of Cheap karen millen Dresses in 1920s is just not difficult to replicate, regardless of attending a new 1920s theme party, dressing up as a new flapper for Halloween, or performing in the role of an play. The fact entertain every women a lot of is fashion and what's going on if these fashionable isabel marant sale things reported by her desires, absolutely the more this lady has! Le fait recevoir toutes les femmes est beaucoup de la mode isabel marant sneakers à Paris et ce qui se passe si ces choses à la mode rapportés par ses désirs, absolument plus cette dame a! We serve orders from all cities and districts in Indonesia, obat kista ovarium di apotik including areas that are difficult to reach though. Orders will remain until because we send via JNE.